The DP-176 Series is an ultra-thin, low-power DPM well suited to portable or battery-powered applications. The DP-176 meter uses 9V power (only 1.6mW) and accepts only differential inputs that are isolated from the motor?s power source. The DP-176S meter has the same features, but uses 5V power (15mW) and is used for either differential or single-ended signals. The input voltage range is ±200mV. Usage with higher voltage ranges requires external scaling resistors. 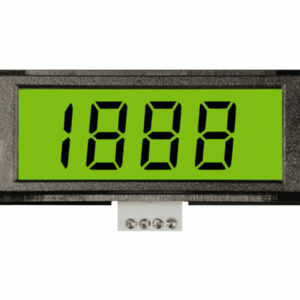 Automatic polarity, overrange indication, and user selectable decimal point are standard features. 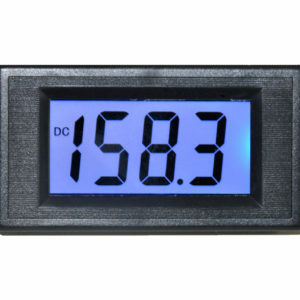 The 9V version includes a BAT indicator in the lower-left corner of the LCD, which illuminates when the supply voltage drops below 7.2V. The DP-176 Series employs a dual slope integrating A/D converter and operates from an internal 100mV reference via a precision DC-to-DC converter. Typical accuracy is ±0.1%. 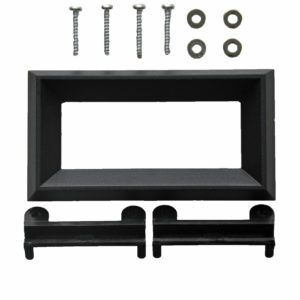 Both versions use an internal bandgap reference for temperature stability. 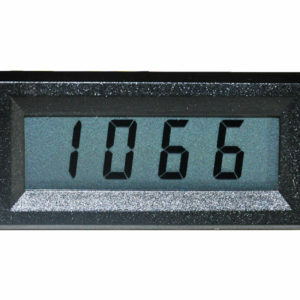 Reference voltage pins enable ratiometric measurements or input offset adjustments.